When people think of nuts, the first nut that often comes to mind is the peanut. 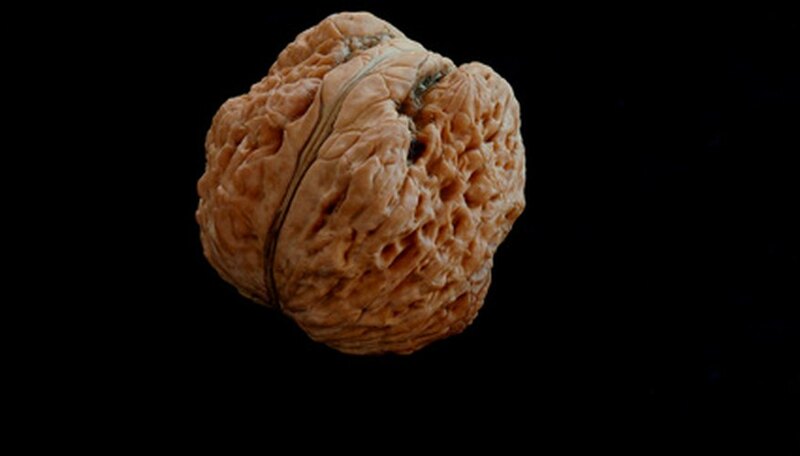 The peanut is actually a subterranean legume, more closely related to the pea than the nut. The peanut does not grow on a tree, nor technically does it grow on a bush; rather, it grows under the bush in the ground. Examples of true nuts include black walnut, macadamia and pecan. There are about 20 species of deciduous trees referred to as walnut trees. The black walnut, which is a native of Virginia, is the tallest of the walnut trees, reaching heights of 40 feet. The black walnut tree, which sometimes lives for up to 200 years, produces valuable lumber as well as edible and nutritious nuts. In the wild, the black walnut is a source of food for wildlife, such as woodpeckers, squirrels and deer. However, the black walnut has a dark side, in that it should not be planted near potatoes, blueberries, azaleas, red pines, apple trees, tomatoes or mountain laurel, due to the toxic nature of the black walnut’s root system. If you have ever flown to Hawaii, chances are the airline gave you a little packet of macadamia nuts as a snack. Chocolate covered macadamia nuts are a popular Hawaiian souvenir. Although the tree originated in Australia, the commercial production of macadamia nuts takes place primarily in Hawaii. The tree does not produce nuts until its fifth year, and takes another seven to ten years for a tree to reach its full production potential. Instead of picking the nuts from the tree, nuts fall to the ground before harvesting. In Hawaii, harvesting occurs from July to March. Macadamia nuts are round and buttery tasting, yet they are toxic to household pets. The star of the pecan pie, this nut adds flavor to cookies, coffee cakes and other baked goods, as well as being a delicious snack food and crunchy topping for candied sweet potatoes or yams. Like many other tree nuts, the pecan requires effort to pry it from its shell. The state tree of Texas, the pecan grows well along rivers and creek bottoms. A mature pecan tree is capable of growing to impressive heights, reaching up to 180 feet, with a diameter of about 6 feet. Pecans, which are harvested after falling to the ground, are sometimes shaken from the tree by mechanical shakers.